Excited to announce that I will be releasing the first single from my new record that we’re currently working hard on. Again, Somehow will be released on April 3rd. Again, Somehow features my Producer and Engineer Joe Munroe on keyboards, bass and vocals, Joe Grushecky on harmonica, Mark Pollera on drums and percussion and myself on vocals and guitars. I’m offering an exclusive FREE Download to everyone who attends the show with Willie Nile at Club Cafe on April 3rd when I will also be making an announcement on a very cool upcoming show with my band and I. After a successful CD release show, the New Year is starting off strong. January 4th the band and I will be performing on WDVE 102.5 FM (iHeart Radio) on the Morning Show Coffee House. January 5th we will be performing once again at the Funhouse at Mr. Smalls along with Bill Toms and Hard Rain featuring the Soulville Horns. January 24th we will be doing an intimate show at Steamworks Creative. In between I will be performing with Joe Grushecky and the Houserockers at LOD New Jersey. Check the Gigs calendar. Joe Grushecky and the Houserockers celebrate the 40th Anniversay of the realease of their critically acclaimed record Love So Tough. The night will consist of the band playing Love So Tough in its entirety and will feature original Iron City Houserocker members along with Houserockers of the past. Join Danny on his birthday eve at the Meadows Raczetrack and Casino. Joe Grushecy and the Houserockers return to Johnstown, Pa for the annual Thunder in the Valley bike rally. Start times TBD. 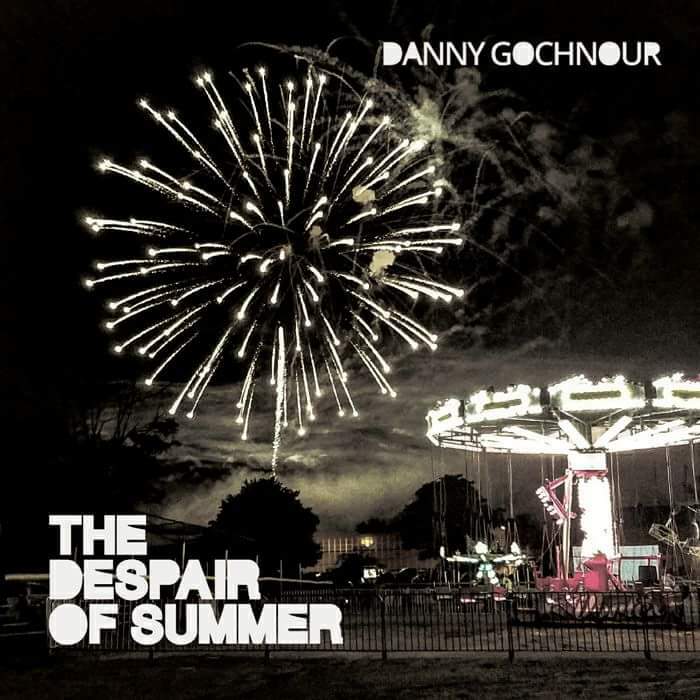 The brand new album from Danny Gochnour is available now! 2 years in the making, The Despair of Summer is here. Danny's first solo project is an amazing piece of work. Whether you are a fan of the Houserockers or just a music fan looking for some great rock and roll with inspiring lyrics, this is the album for you. Check out the great review below from our friend, Mr. Gord Hunter. "The first time I saw Danny play I was sitting in the next to last row of the Paramount Theatre in Asbury Park. I had a full glass of whisky in my hand and I was ready to judge him harshly. I’d been a fan of the Houserockers since 1995 and I knew almost every song note-for-note. As he launched into that first solo, I distinctly remember thinking that he was walking out onto a tightrope the width of an E string. One of the toughest things in music is to come into an established band, create your own space and to do it within the parameters of songs that so many have come to know and love. Danny did exactly that and he did it with soul, with respect and with just the right amount of, well….Danny. When he finally finished, I noticed my glass was empty; always a good sign. 10 years later, I consider Danny a great friend. He still plays with soul, respect and a signature sound that I’ve come to truly appreciate. You’ll hear it on this record and I’m guessing, if you’ve heard Danny play before, that won’t surprise you. What might surprise you are the intricate and hook-laden melodies laced with insightful lyrics that shift effortlessly between heartache and humor. In between you’ll hear that ever-present guitar paying tribute with subtle nods to blues, jazz and flat out rock and roll. If I think back now to those first few notes that I heard Danny play, it’s easy to compare that moment to this record. Once again, he’s stepped out onto that E String tightrope and from the ironic finger-picking folk of The American Dream to the jukebox-rockin’ antics of Crazy Linda J, he’s nailed it. I was going to conclude by saying that I hope you enjoy The Despair of Summer but to be honest, I know you will. Now go pour yourself a Jameson’s, put it on, turn it up and take a walk out onto that wire with my buddy Danny. He’ll take you from one side to the other with a smile on your face and an empty glass." Take a moment and visit some of these great links! To contact Danny Gochnour for gigs, information on his upcoming album or other information, kindly fill out the form below and Danny will get back to you! Thanks for visitin our site and your interest in Danny Gochnour Music.